Our goal at Orthodontics by Birth & Fletcher is to assure optimum health for our patients by correcting the placement of teeth and offering the only non-surgical approach to correcting misaligned jaws. Our Orthodontists are specialists in their field – Top 1% Invisalign providers, our own Dr. Sheila Birth is a best-selling author on the practice of Orthodontic care and lectures on TMJ/TMD care. Whether you have a child that could benefit from braces or you’re finally ready to undergo treatment yourself, we can help. We offer the finest orthodontic solutions available in the metroplex and are ready to consult with you right away! While Orthodontics have been around for many years, the methods of treatment have seen tremendous technological advances and as the specialty has matured, board-certification has led to constantly improving techniques that speed up treatment time and provide the very best results. Many excellent Orthodontists are board certified (only 1 in 3 are certified in this manner) and we are proud that Dr. Birth and Dr. Fletcher are both board certified. So, how does orthodontics work? Generally, orthodontics gradually move teeth and even reshape the jaw (non-surgical) to correct malocclusions or misaligned teeth. With the use of braces or Invisalign® clear aligners, we create a gentle force that over time moves the teeth into proper alignment. Our Orthodontists can give you the beautiful smile you have always wanted all while correcting your bite and improving your mouth’s overall health! 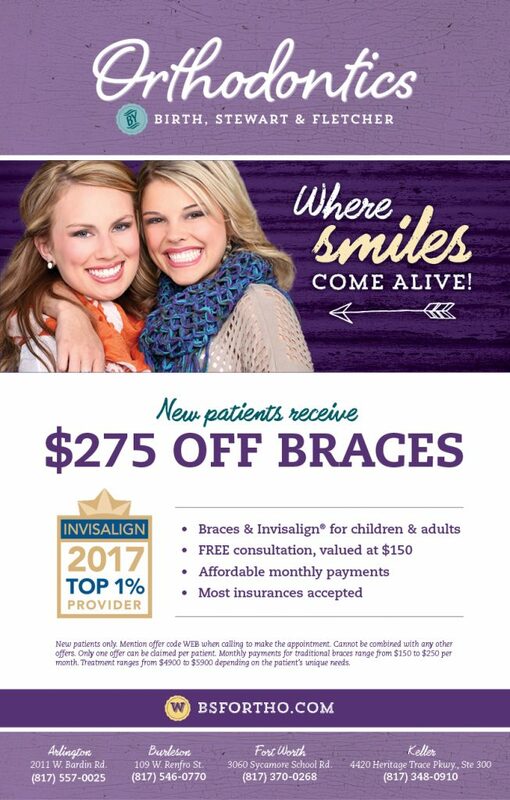 For Orthodontics in Fort Worth, TX, Visit Us Today!